The Ektelon O3 Hybrid Airo Bolt racketball racket features O3 hybrid technology that transforms conventional string holes into giant O-ports providing a sweet spot that is enlarged up to 54% making it even higher up on the strings to allow for even greater power on close to the wall shots. Greater aerodynamic efficiency enables quicker racket acceleration which in turn brings increased manoeuvrability and power for heightened success out on the court. 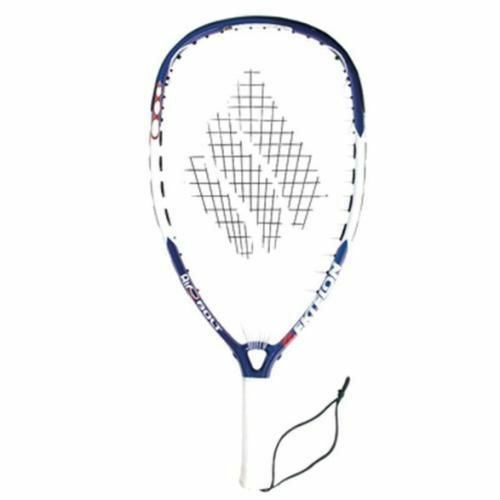 In addition, the powerful technology of Triple Threat with the added benefit of Tungsten improves stability, power, and control. for submitting product review about Ektelon O3 Hybrid Airo Bolt Racketball Racket.